Don't miss out on this modern, durable, and roomy bowling bag today! This Hammer Signature 2 Ball Roller Black/Royal has all you could want in a bag! 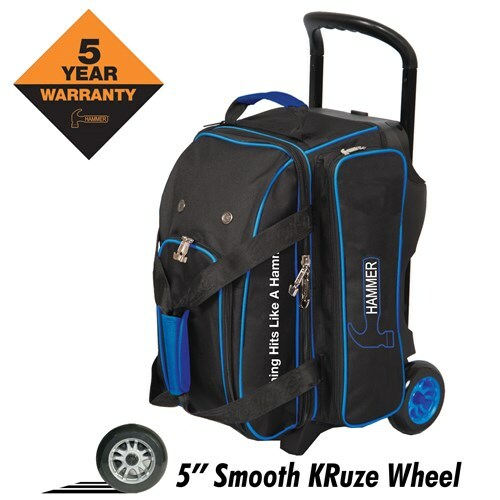 It features 3 large accessory pockets, is made with strong materials, has 5" Smooth KRuze urethane wheels, and comes with an outstanding 5-year manufacturer's warranty. Due to the time it takes to produce the Hammer Signature Double Roller Black/Royal ball it will ship in immediately. We cannot ship this ball outside the United States.